GLORIOR BELLI To Re-issue Debut Album "Ô Lavdate Dominvs" And Announces New Record "The Apostates"
Gallic black metal renegades GLORIOR BELLI are proud to announce the long-overdue analog-only repressing of their ferociously raw debut album, "Ô Laudate Dominvs", due out June 1st 2018 via Ascension Monuments Media. 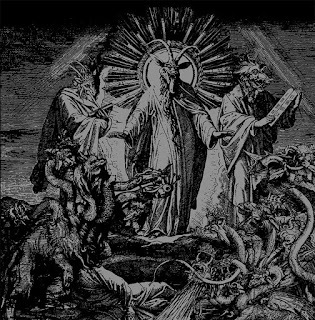 Originally recorded in 2004 at Hybreed Studios in France and released via Eerie Art Records in 2005, "Ô Laudate Dominvs" is a brutal piece of satanic art, with a personal and strong identity attached to the then-newly founded war machine. 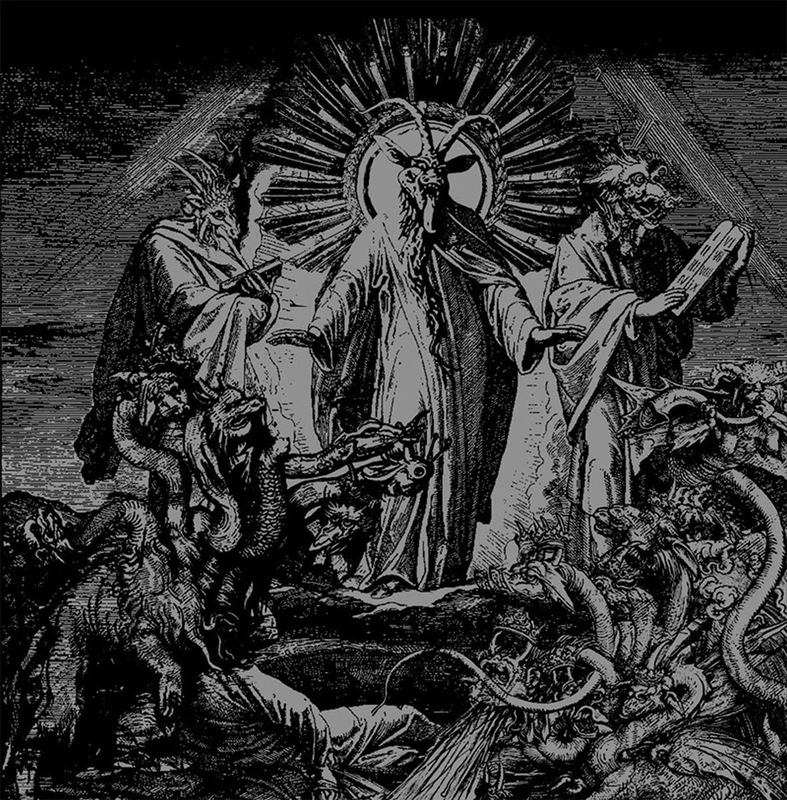 Thundering and violent drum patterns, coupled with guitars squealing like freezing razors and profound bass pulsing straight from Hell, all backed by howling vocals that vomit blood, blasphemies and other extremities in a 30-plus-minute sonic bludgeoning akin to Watain, Antaeus and Deathspell Omega. Cover artwork was handled by the prolific Daniel Valencia of Fenomeno Design (Blut Aus Nord, Gloria Diaboli). GLORIOR BELLI crept out from the temperamental suburbs of Paris in December 2002. What started as a notorious duo soon became a remarkable Beast, acting as a beacon for everyone looking to free themselves of the influence of the Demiurge. Says Billy "Infestvvs" Bayou: "Some things in life you don't forget, whether they are traumatic events or the happiest times. Glorior Belli has been my own creature for a little over 15 years, and a lot can happen in such a while. In fact, it feels like an eternity today when I look back. What could possibly celebrate this 15th year anniversary better than a special release that consists of Glorior Belli’s most essential records, starting now with the raging, raw ferocity of 2005’s debut "Ô Laudate Dominvs!" 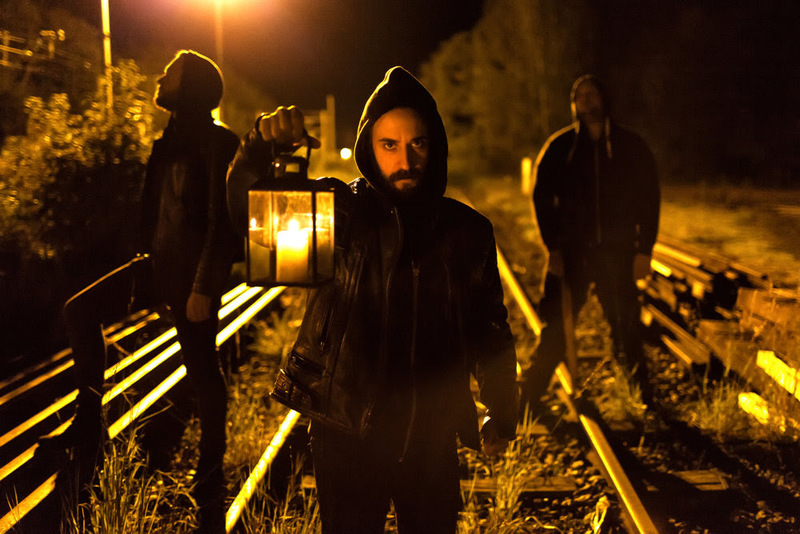 "Glorior Belli has been steadily resetting its compass since then, creeping exponentially towards the grimy magnificence to be found on their upcoming new record, "The Apostates", which will be released April 6th 2018 via French label Season of Mist." "This long awaited reissue of the debut deserves only the best quality, thus we have chosen to work with a very promising new Southern California-based label Ascension Monuments Media for a vinyl & cassette "analog assault." "On a side note, Glorior Belli's twin project, OBSCURUS ADVOCAM, which took a life of its own back in 2007 with the band's only album released on CD via now-defunct Battle Kommand Records, will be reissued on vinyl & cassette as well after being out of print for 7+ years!" Pre-order and listen to the orthodox black metal magick that is their "Ô Laudate Dominvs" album HERE,with the tracklisting and album artwork below.